PT Kimia Farma Trading & Distribution – KTFD is a rapid growing pharmaceutical company in Indonesia with core business competencies in the field of trading and distribution of pharmaceutical products, including consumer health products (CHP), ethical products, and medical devices. KFTD is a directly-owned subsidiary company of state-owned pharmaceutical giant PT Kimia Farma (Persero) Tbk (Kimia Farma Group). 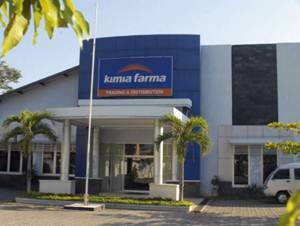 According to information found in KFTD’s website as cited by JobsCDC.com, 99.99% of KFTD’s shares are held by Kimia Farma Group. Other 0.01% remaining shares was owned by PT Kimia Farma Apotek. Headquartered in Jakarta, KFTD has 47 branch offices which serves more than 16,173 pharmacies, 1,319 drug stores, 6,387 free traders, 3,134 hospitals and 1,008 modern markets throughout Indonesia (as of December 2017). Previous experience as Sales in Consumer Goods (FMCG) industry. Have own vehicle and SIM C.
Communicative, initiative and have strong work motivation. Mastering the distribution coverage area of KFTD in the placement area. Previous experience as Sales Supervisor (SS) / Team Leader (TL) / Sesko in Consumer Goods (FMCG) industry. Mastering Microsoft Office (Excel and Power Point).